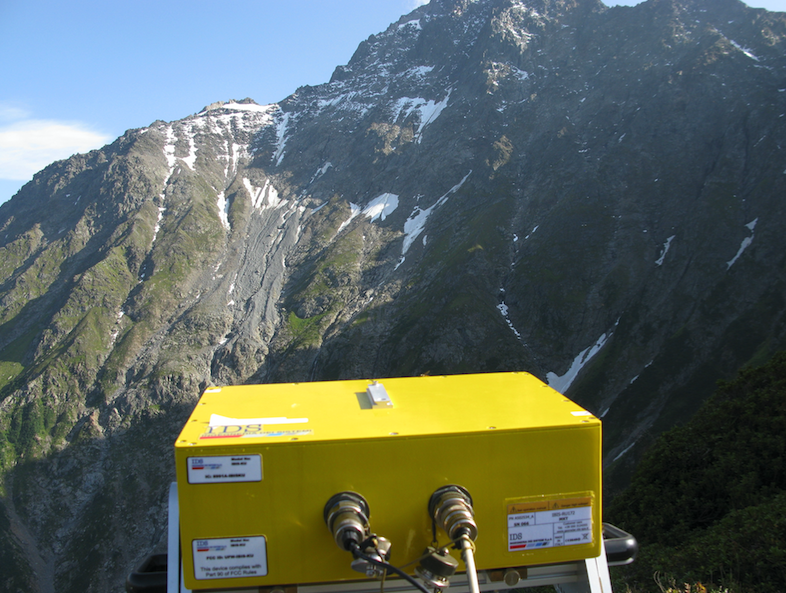 Judging the stability of a rock wall or a glacier from a distance is not an easy task. 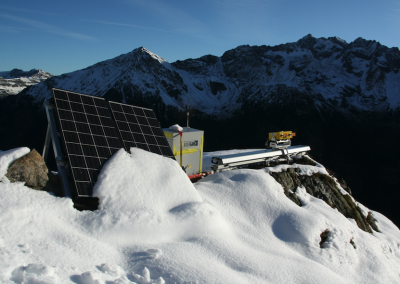 The interferometric radar is ideally suited to perform this task from a safe distance. 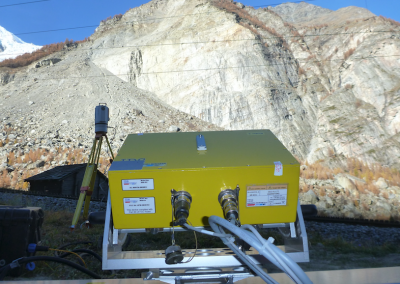 It provides safe measurements of rock and ice deformation across large areas and high accuracy. 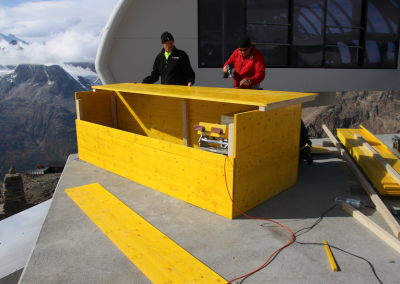 The georadar is designed to monitor the stability of rock walls and glaciers. 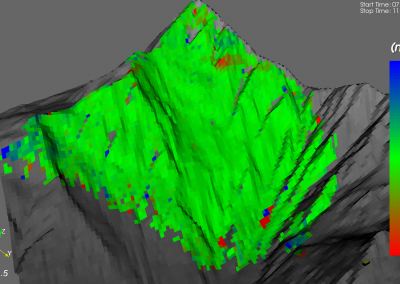 It detects even very small deformations (less than 1 mm) from safe distances of up to 4 km. 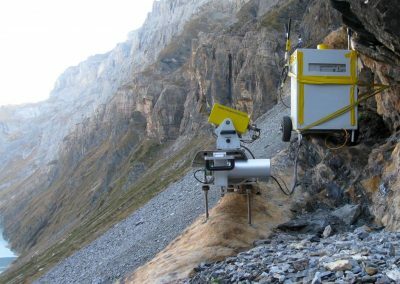 On the one hand, it can detect fast movements and be programmed to automatically sound an alarm, for instance to monitor a cleanup after a rockfall event. 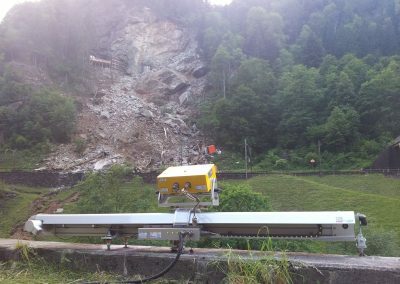 On the other hand, it can monitor long-term deformation by repeatedly surveying a target area and comparing the measurements over the course of several months or years. 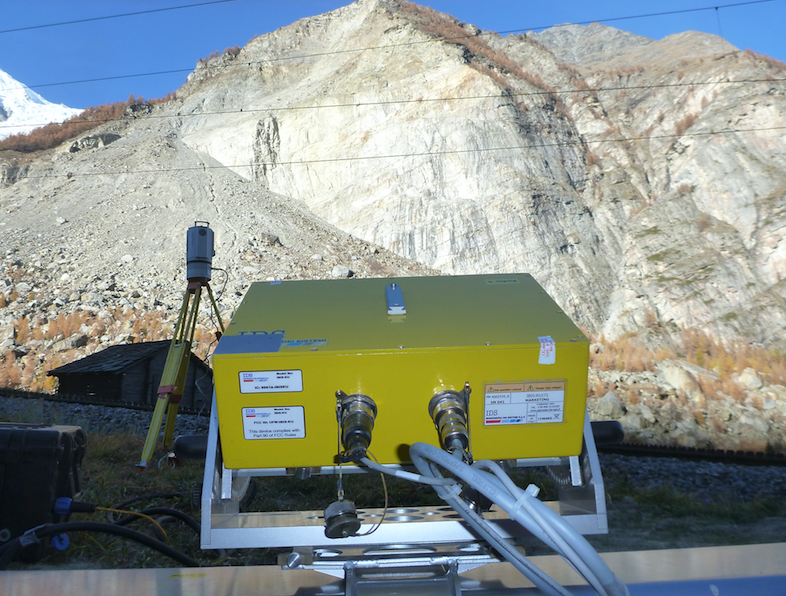 Measurements offer high temporal and spatial resolutions and can be used to predict failures and estimate volumes. 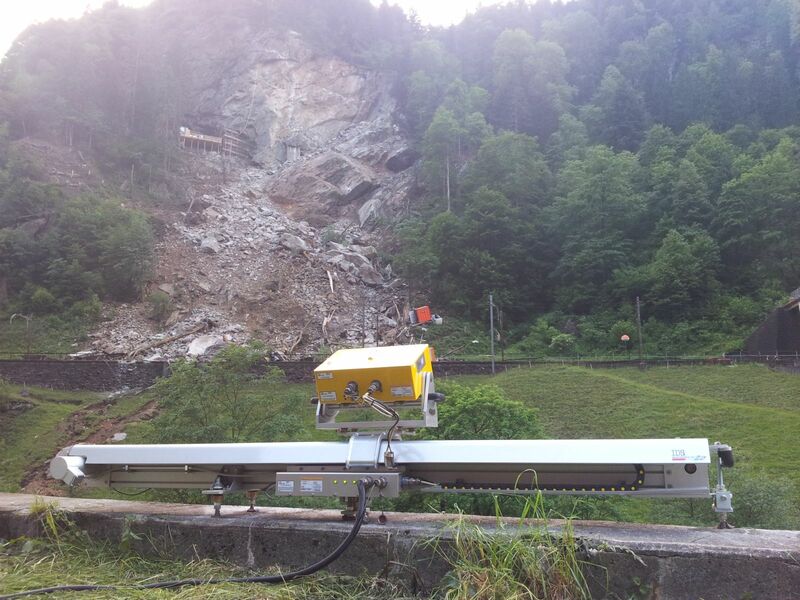 The georadar monitors the scar after the rockfall onto the Gotthard Railway Line, Gurtnellen, Switzerland. 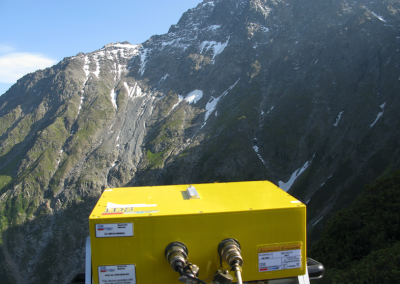 … even to remote locations like the side of a mountain (Ritzlihorn, Canton Bern, Switzerland). 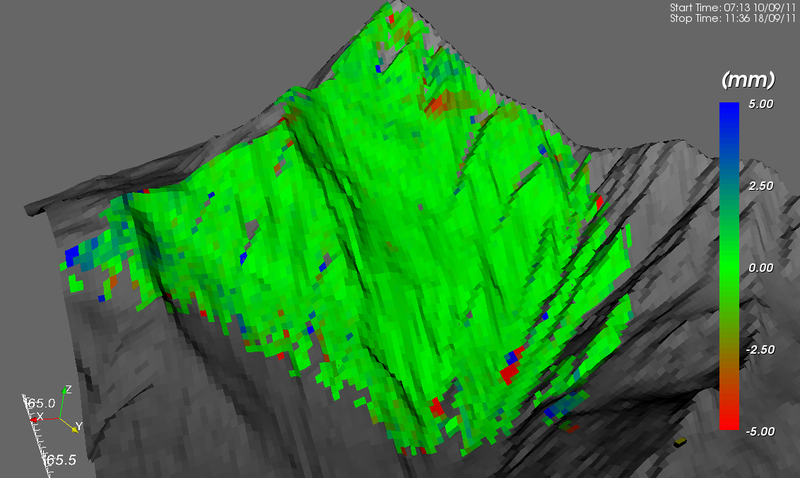 View from the radar towards the rockfall prone north-east face of the Ritzlihorn. 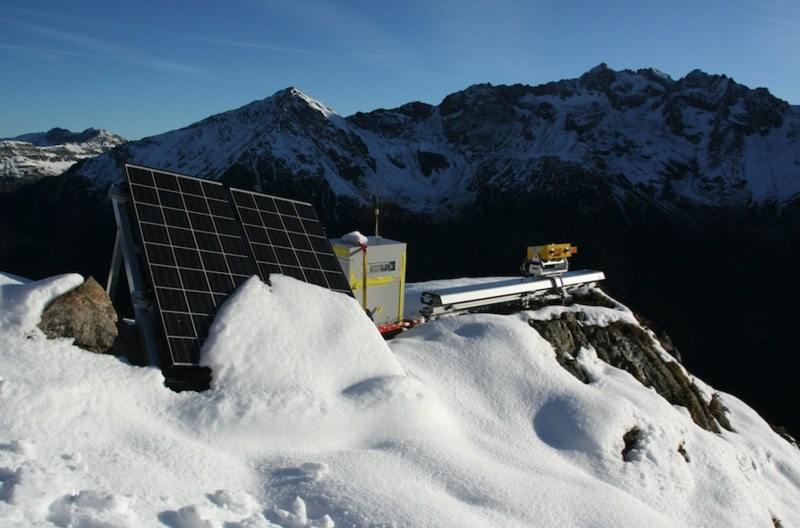 For longer-term monitoring projects, the georadar can be protected from environmental impacts by custom made housing. 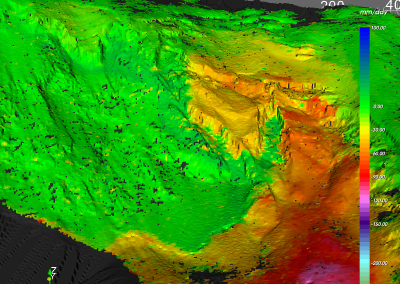 … and over an area of more than 5 km2. 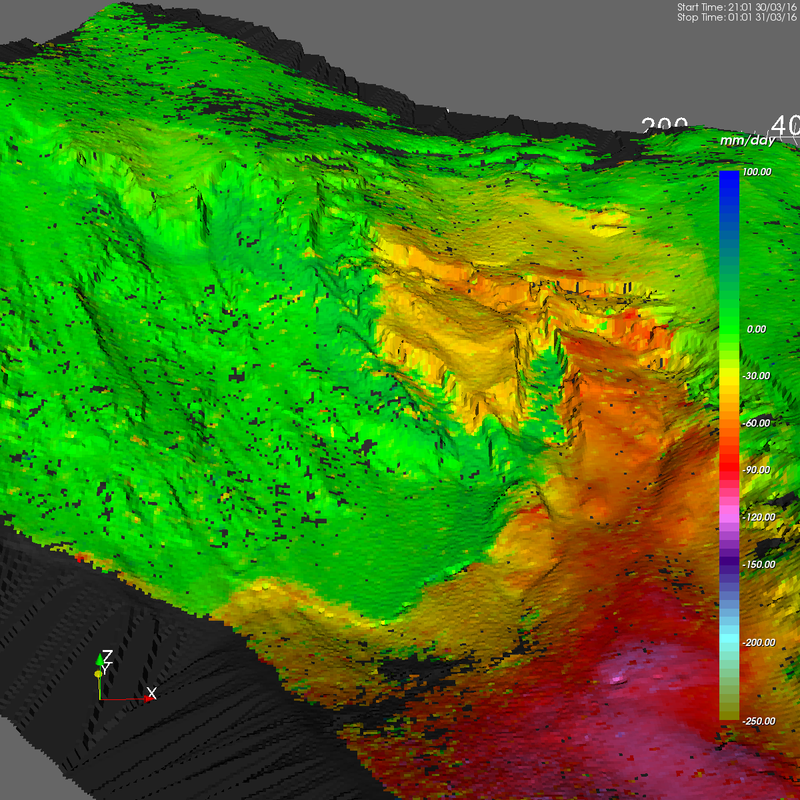 Projecting the measurements onto a digital terrain model simplifies the interpretation.